Somewhere along the way we stop for a snack and a chance to stretch our legs. Here at a rest stop in the middle of nowhere, a rusted sign commemorates the California Trail. Over 150 years ago pioneers in search of a better life struggled across this same landscape at a snails pace, pulled along by ox and horse in covered wagons. Imagining the heat of the summer, and the biting cold of winter we are grateful we can cross this desolate landscape in a few long hours, instead of months. It gives our journey a bit more perspective and a greater appreciation for the struggles of those in eras past. 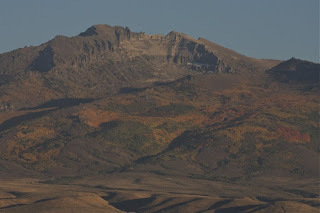 As the day begins to wane, we see our first signs of color in an otherwise drab landscape. 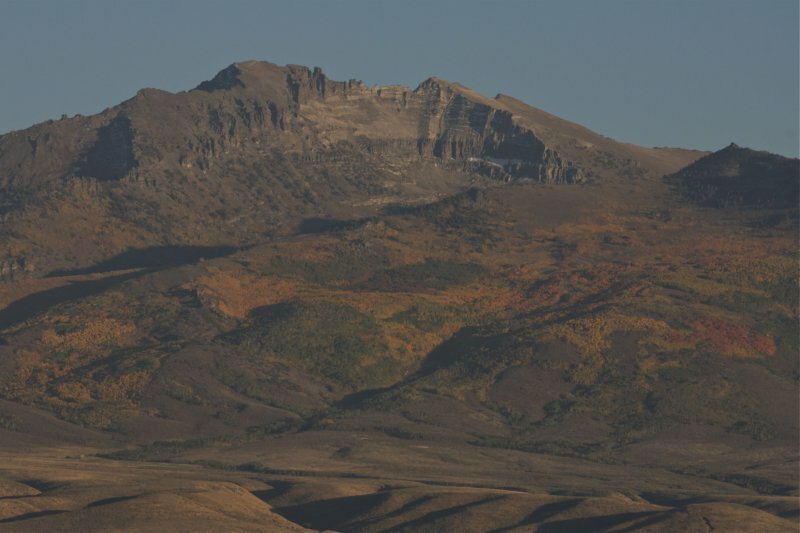 The Ruby Mountains rise a bit higher than the surrounding hills, and jut into alpine peaks. Along their upper slopes, autumn has arrived. While from a distance, the orange and yellow hues seem to fade into each other, they still provide a welcome contrast to a long day speeding across the Great Basin. We finally pull off the freeway for the night and pop up our ECamper, looking ahead to a slower pace tomorrow north towards Idaho and along more scenic byways.